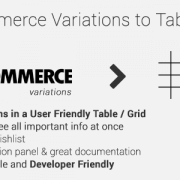 This WordPress – WooCommerce plugin will turn product’s page default variations select-option menus to user friendly table – grid display. It features a self-explanatory with plenty of options admin settings panel, great documentation and support and per product options. The plugin is published in Codecanyon for purchase here. 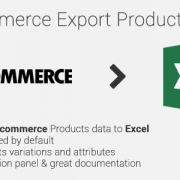 Woocommerce Export products to XLS is a WordPress plugin that will export your Woocommerce product data to Microsoft Office Excel XLS format. The plugin is published in Codecanyon for purchase here. WP Font Awesome Share Icons is a simple plugin that will help you put social sharing buttons on your site without writing any code, in a SEO friendly way. It is available in English, Greek and Spanish. The plugin is published for free download on wordpress.org and you can download it from here. Simple SEO Slideshow is a WordPress plugin, for displaying on your site the images of a gallery from a specified post or page. The plugins allows you to display a slideshow in a widget with title, description and custom link from page or post gallery. The plugin is published for free download on wordpress.org and you can download it from here. 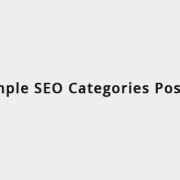 Simple SEO Categories Posts is a WordPress plugin, for displaying on your site the posts from specified categories. The plugin allows you to display posts in a widget with title, thumb, excerpt, date and author. The plugin is published for free download on wordpress.org and you can download it from here. This is a Joomla! component that installs via the Joomla installer. It can update prices by category, by shopper’s group with Virtuemart bulk price options, based on the default shopper group price, by giving a percentage and choosing an action. It is inspired by Bureau Van Vliet B.V. VM Category Discount component. 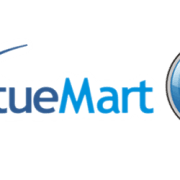 Tested on Joomla 1.5.23 and Virtuemart 1.1.8.